Erika VanDam was never the sort of person who chose a career based on what she loved. Nonetheless, she mostly enjoyed her job in ad sales until she had a baby last year and discovered it did not provide the sort of flexible schedule that would suit a new mother. Maybe, she thought, it was time for a change. She sat down with her husband and made a list of things that she enjoyed: shopping, stores, her neighborhood of Roscoe Village, and books. Suddenly the answer became clear. 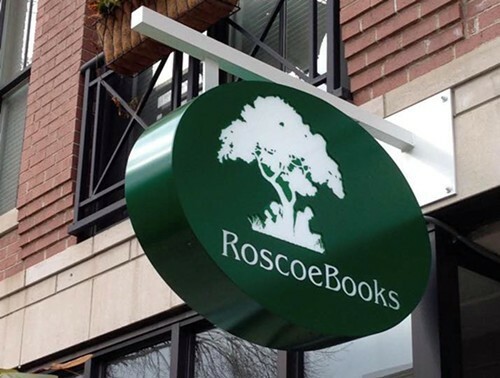 And on Saturday, after several months of research and preparation and scraping together funds from her family and her personal savings, VanDam will open Roscoe Books at 2142 W. Roscoe. She's never worked in a bookstore before, but she's optimistic about her chances of survival. "It's a good time for bookstores," she says, "regardless of Amazon and Hachette. People, especially in cities, embrace the idea of shopping local. Here in Roscoe Village, it's especially true. People care about supporting local businesses. This neighborhood has had a hole. A bookstore could definitely survive." VanDam plans to appeal to the particular needs of Roscoe Villagers who, at least based on the other stores that line Roscoe Street, like to eat and drink and pamper their pets and babies. She estimates that between 25 and 30 percent of the store's 9,000-volume inventory is children's books; the rest is a mix of general-interest titles that she selected with help from Paz & Associates, a Florida-based consulting firm for independent bookstores, and Above the Treeline, a service that aggregates sales data and helps booksellers determine which books sell. But she also made sure to stock some of her own personal favorites, including Little Witch by Anna Elizabeth Bennett and Submergence by J.M. Ledgard. Most of the books arrived two weeks ago. "That was very exciting—and overwhelming," VanDam says. "There were seven pallets." Since then, she's been occupied with shelving them and getting the rest of the store in order. She has three employees so far and is considering hiring a fourth. As soon as the business gets underway, she plans to create a calendar of events, starting with a children's story hour, but also author visits and book club meetings. "That's what sets independent bookstores apart from Amazon," she explains. "Those events lead to the bookstore turning into a community institution." Artist and Roscoe Village neighbor Heather Gentile Collins painted a mural for the store. 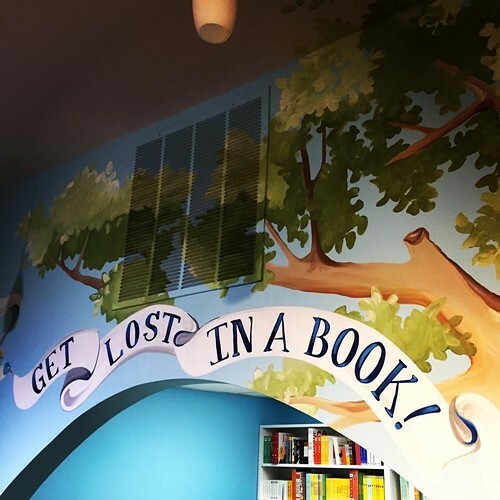 The owners of Pilsen Community Books now have a second store downtown.